When you mention nasi lemak in Singapore, there are a couple famous places that you’ll hear about again and again. 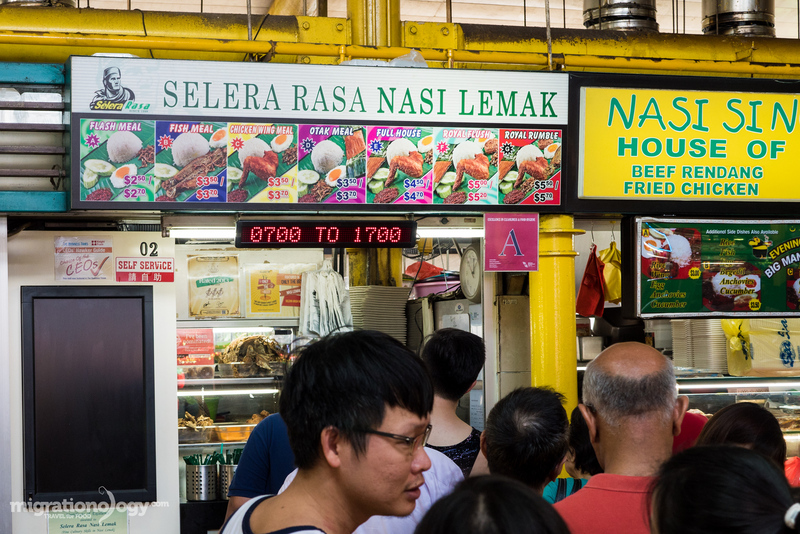 One of the Singapore favorites, almost a household name when it comes to nasi lemak, is a hawker stall called Selera Rasa Nasi Lemak located at Adam Road Food Centre, which is casually referred to as Adam Road Nasi Lemak. When I was in Singapore, I had to try it. 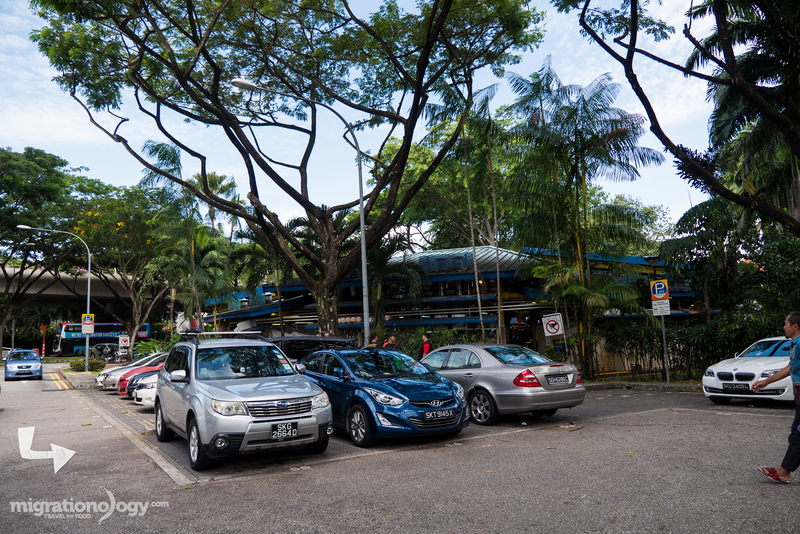 When it comes to food hawker markets in Singapore, Adam Road Food Centre is very small, and has a nice neighborhood feel to it, surrounded by lush tress and the Botanic Gardens right across the street. And because it’s quite small, during mealtimes it gets packed and has a small food court buzz feel to it. It’s quite a wonderful environment. Some hawker centers in Singapore are heavily Chinese, but Adam Road has a really good mix, including lots of Malay and Indian hawker stalls. But definitely, the stall that blows every other stall away in terms of constant customers is Selera Rasa Nasi Lemak. Check out my Singapore Travel Guide for Food Lovers! Due to timing, I probably came on one of the worst days: the weekend, right at noon. But that’s the way my schedule worked out, and I was mentally prepared for a long line of hungry people waiting. As soon as I arrived to Adam Road hawker centre, I barely even needed to look around, and I took one glance at the longest line, which literally snaked halfway across the food court, and immediately knew that was the line I needed to join. You’ll have plenty of time to look at their menu, which is written above the stall. Their menu of nasi lemak comes with a casino theme, each plate consisting of different items. The line took over an hour, but finally we reached the front. The staff were all friendly and nice. I decided to order the Royal Rumble, the biggest plate they served. Nasi lemak is a Malay dish of rice, which is cooked with coconut milk and pandan leaves, to make it rich and fragrant. 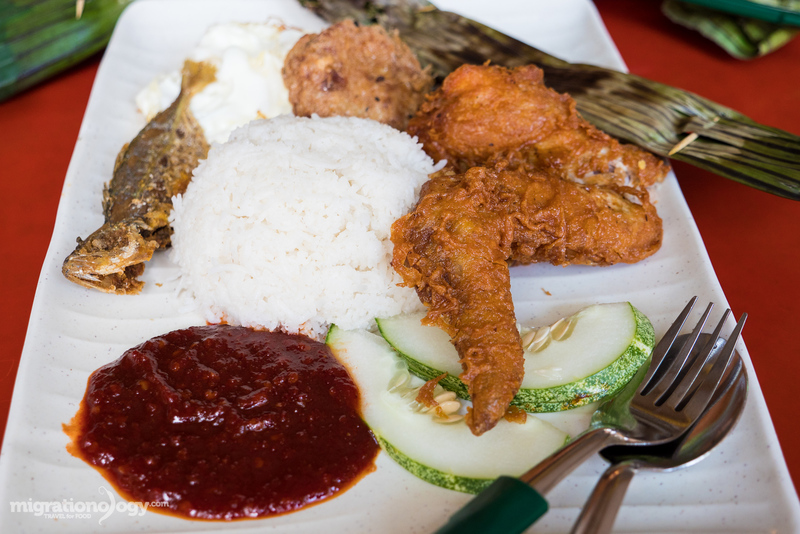 The rice is probably the most important part of eating nasi lemak, followed by sambal, a type of chili sauce. 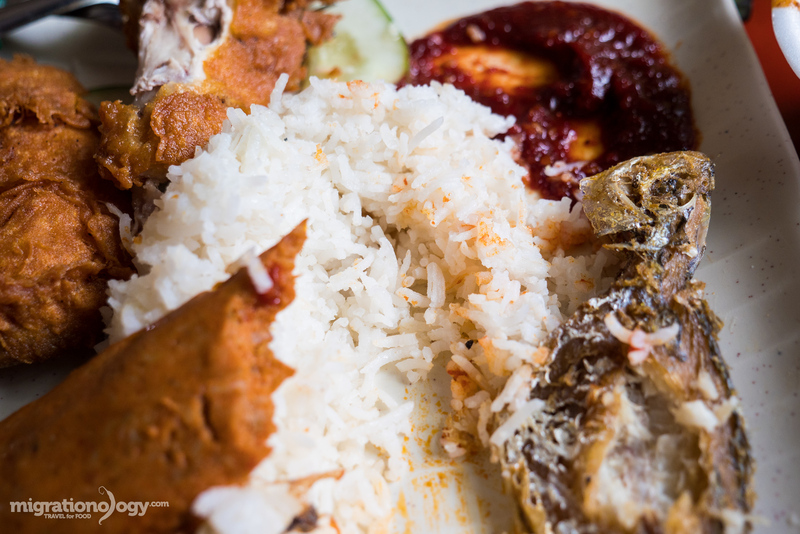 Once you have the rice and sambal, nasi lemak can be served with a variety of different ingredients, sometimes different curries, and other times with more dry ingredients like ikan bilis (fried anchovies), fried chicken, or fried fritters. At Adam Road Nasi Lemak they serve their nasi lemak with a mixed choice of different deep fried items, and I got the full plate with one of everything they served. The rice, which I believe was basmati rice, was long and fluffy, and very light. It was quite salty, and you could taste the coconut milk. For myself, the rice was superb, and definitely the best part of this plate. The sambal was like a roasted chili jam. It wasn’t spicy, but more on the sweet side. I’m more of a fan of spicier, more robust sambal. 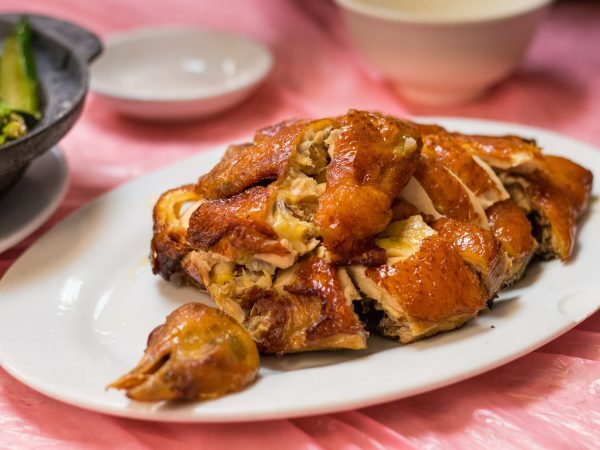 For the accompanying side dishes, the fried chicken wing, the fried mackerel, and the otak otak fish cake, I thought they were all pretty standard – nothing special – just a variety of deep fried crispy salty things. Overall, I would probably not wait in line again to get a plate of nasi lemak. The rice was indeed delicious, but the side dishes just weren’t all that good to me. 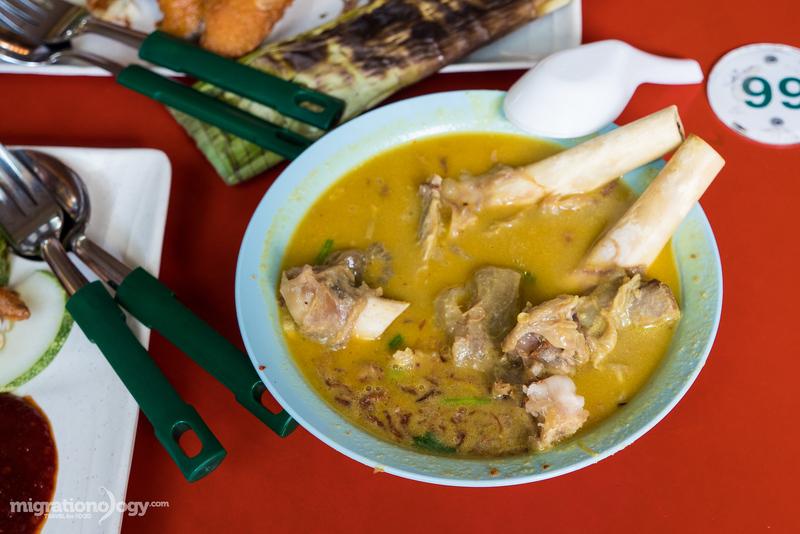 Sometimes referred to as “gearbox” due to the bones and joints that look like a manual shift transmission, another good dish to eat at Adam Road Food Centre is sop tulang. The soup was thick and creamy, with a hearty meat flavor to it (I think it was goat, not totally sure). The meat around the bones was both fatty and included some of the gelatinous soft and tender tendon, all with a lovely crispy shallot flavor. There wasn’t a lot of marrow in the bones, but the little bit that was there, was excellent – buttery in texture, with a fulfilling meat taste. 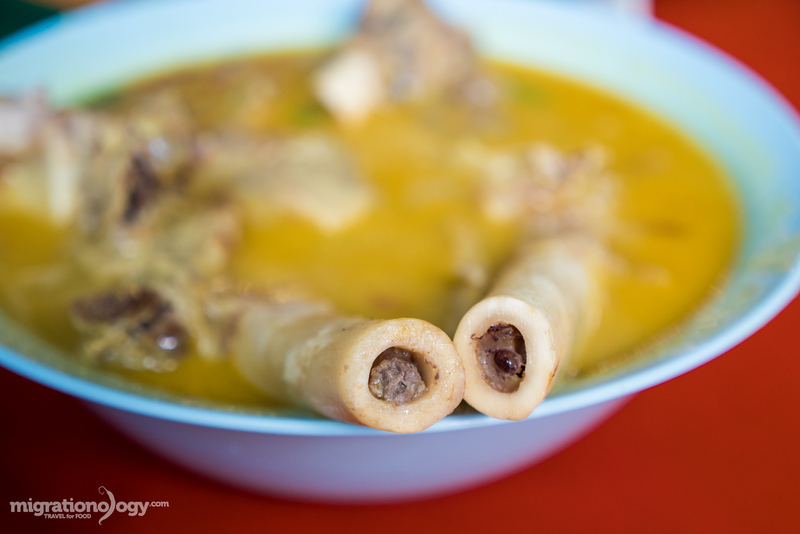 The sop tulang was probably my favorite dish of our lunch at Adam Road. 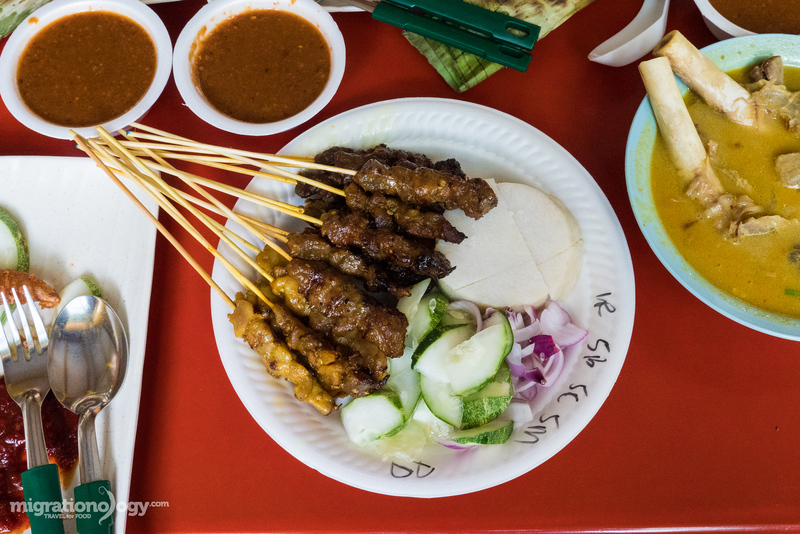 To complete our meal at Adam Road Food Centre, we ordered a plate of sate, a mix of beef, mutton, and chicken. While the sate was better than another version I had in Singapore, overall, the meat was still a little too sweet for me. But I guess that is the way it’s served, and many enjoy it like that. 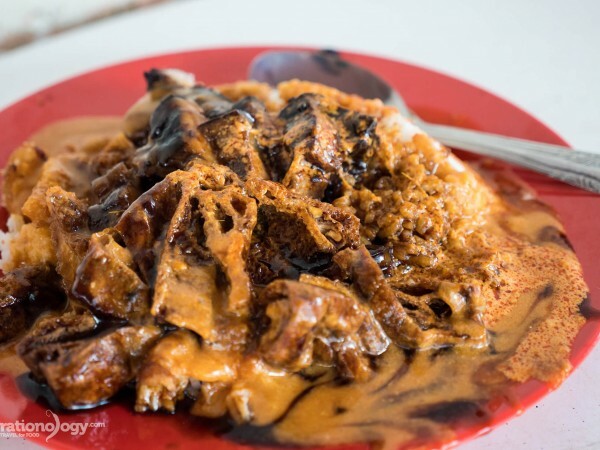 But just know that this type of sate is quite sweet. What I did enjoy was the freshness of them being grilled, and they were served hot and smoky. Selera Rasa Nasi Lemak, known casually as Adam Road Nasi Lemak is one of the standard names in Singapore when it comes to nasi lemak. From the moment they open, they often have a long queue that never lets up until they close for the day. I ordered the Royal Rumble, their nasi lemak plate that included everything on a single plate. The fried chicken, the egg, and the fish were all very typical, nothing special in my opinion, but the highlight was the rice, which was fluffy and light, while being rich from coconut milk and fragrant. Overall, I honestly probably wouldn’t wait in line for an hour again for a plate of this nasi lemak, but if there wasn’t a long line, it would be worth eating a plate just for that amazing rice. 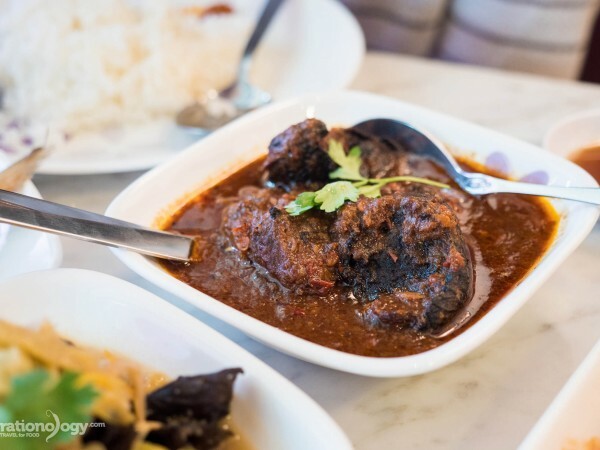 However, Adam Road Food Center itself is a great food court in Singapore where you’ll find a good variety of Malay, Indian, and Chines stalls to choose from. 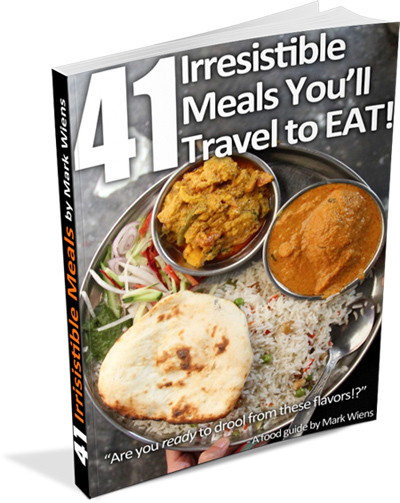 You may also be interested in my Singapore Travel Guide and my Singapore food guide for lots more tips! How to get there: You can take the MRT to Botanic Gardens station, and it’s about a 5 minute walk to Adam Road Food Centre. If I ever visit Singapore, this is one of the places I will go to. By the sound of it, that rice sounds delicious. Thank you very much Astha! Hi Mark! I watch your videos (& repeat videos) everyday! I absolutely love your channel! I would love to see more recipes! My family enjoys your Khao pad goong at least once a week! Thank you very much Anna, awesome to hear that! Thank you very much Rara! I’ll take you around KL for the best Nasi Lemak, Malaysian style! You should go to CT Garden in Kg Baru where they have this school canteen concept. You take your basic nasi lemak, go to the next counter for your side-ons and finally you pick up your drinks. Hey Syaf, thank you very much, would love to come back to KL! The satay looks amazing! In California, I order Chicken Satay at a Thai restaurant and I get maybe four sticks of satay and it costs about $9. I just ate right before reading this and now I’m hungry again! Singapore is one of the few countries in SE Asia that I haven’t visited yet. I love all the greenery outside the food centre. Is the nasi lemak spicy? Hi Kailey, thank you very much, hope you can visit Singapore soon. No, nasi lemak is not very spicy. It depends on whose taste buds is sampling the heat! For you Mark it might not be that spicy because you love to eat all the yummy SE asian spicy foods but to her it might be too hot. Can imagine her face when she eats it & start to spit it out quickly & drink some cold water! Oh dear, this looks yummy. and nasi lemak is my fave dish. Should def drop by when i visit Singapore again!